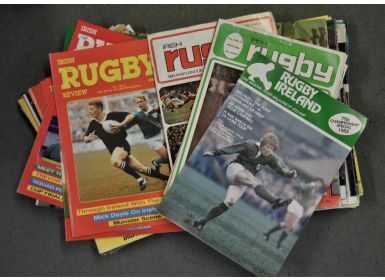 Collection of 1980s Irish Rugby Magazines etc (55): To include 19 Irish Rugby Review (older style), 18 (newer style), 8 Irish Rugby, 4 Irish Rugby, 1 Rugby Ireland, 1 Provincial Rugby and 1 Rugby Lineout Annual; all detailed and illustrated. 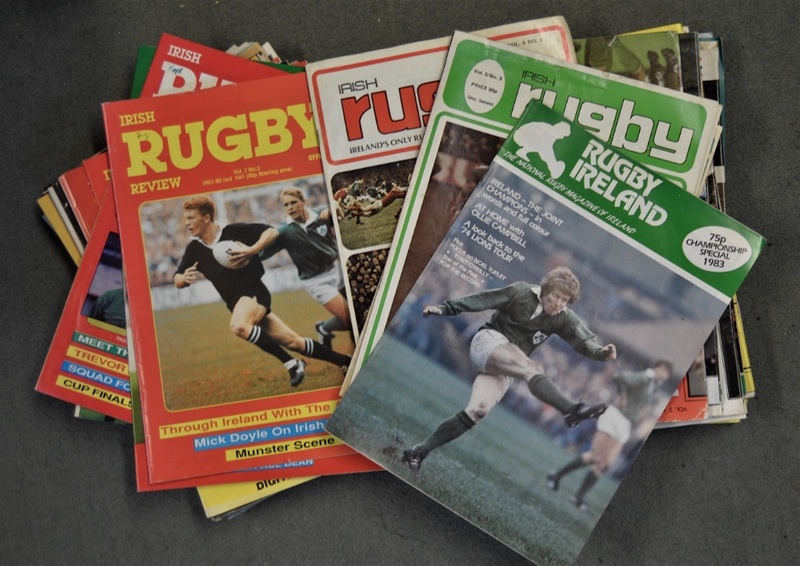 Also with programmes: Ulster v Munster 1981, v Connacht 1988 and v Cote Basque (France) 1989. G or better.